No matter how many power strips you own, you probably always find yourself wishing you had one more. 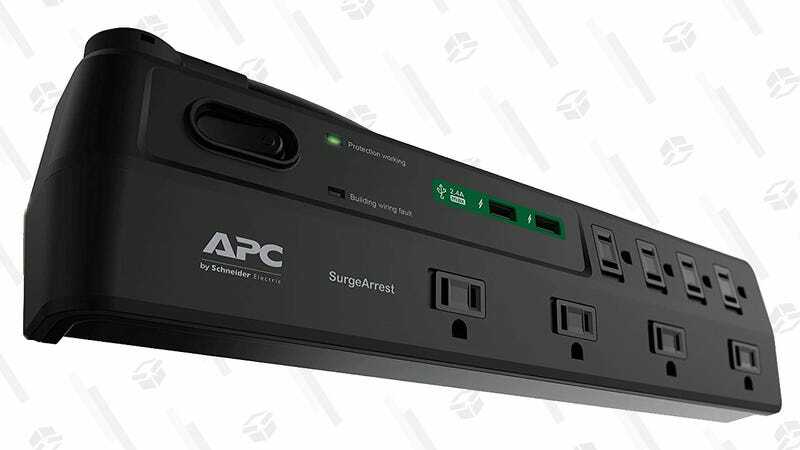 So while this APC 8-Oultet Surge Protector with USB Ports may not be a flashy, exciting buy, but it’s a super useful one. Aside from the obvious appeal of surge protection, it’s got nice features like USB charging to free up the traditional ports, and the layout allows you to plug in several of those huge, blocky power bricks without sacrificing the entire strip. It’s probably not the best way you could ever spend $18, but it’s pretty high on the list.